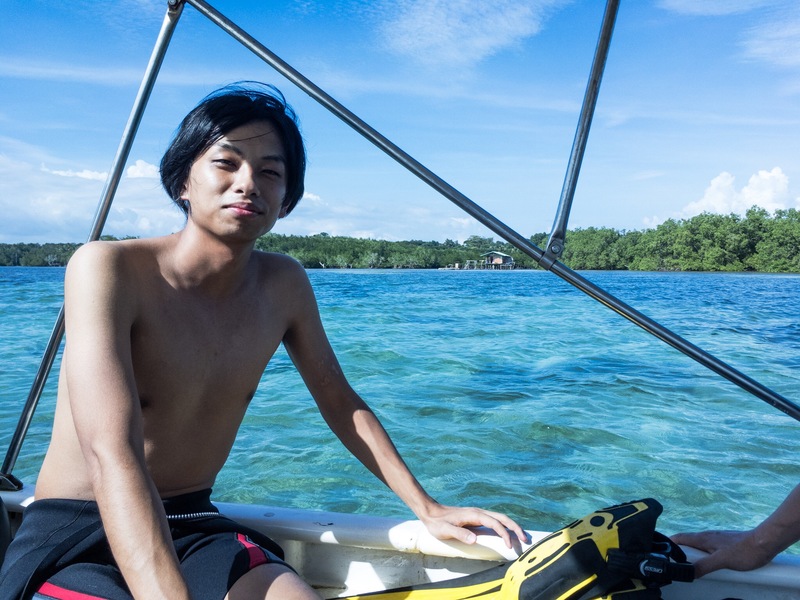 I traveled Palawan island from December 30 to January 1st. Palawan is a small island in Philippines. It has beautiful beach, activities and adventure, just like Cebu. Otherwise, the island was totally different to Cebu. I simply say, it’s awesome. The island was so beautiful. I just stayed Puerto Princesa which is the main city of The island. But the city was not like “cities”. There are so much untouched and undeveloped nature. The is no crowed, no heavy traffic and no busy business. The time in the place goes slowly. Very relaxing place. Fortunately I could find good accommodation which is made with bamboo. No aircon, no hot shower but no problem. The house covered by nets and all wind go through it so you don’t feel uncomfortable with the quite hot temperature. Compared to Cebu, Palawan was more natural, quiet and relaxing. Cebu also has good beachs but Cebu city is a big city. It is already developed. It’s just like small Manila or Tokyo but has beach. It has so many people, so much money and so many businesses. Palawan was different. There are just simple small community. I think it’s close to the natural Philippines. I dived. It was really really beautiful. I strongly recommended it. By the way, one thing you have to remember is that the economy of the island is highly depending on tourism. People like me. So thighs you can get at there is relatively higher price compared to other parts of Philippines. But not so much for me.